With 31 days of the December holiday, you have 31 days to plan great evenings with friends and family, sharing good food, and yep, enjoying all those goodies this time of the year. And what goes better with entertaining than chocolate and wine? Nothing. I dare you to challenge me because the answer is nothing. Chocolate and wine are a winner EVERY time. And this year while you are setting up your table as a host or heading to a friends, make sure you have all the recipes that will help take your BROOKSIDE chocolate and Clos du Bois wine in the right direction. But wait! BROOKSIDE chocolate, with rich, dark chocolate and sweetened soft centers made with exotic fruit flavors, is also useful in a variety of tasty recipes that can be found here. Got your wine and chocolate ready? How about a holiday hack to get you in the mood? Now personally I love to set up my table fast and easy but still CUTE. 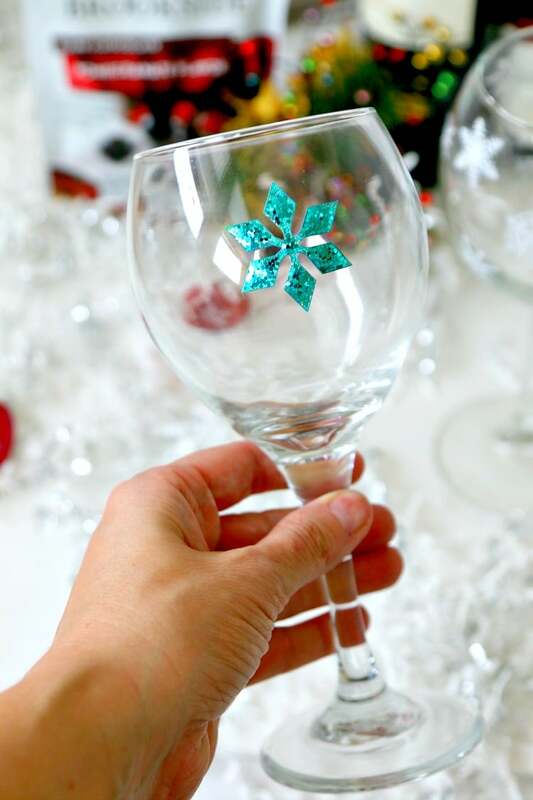 And while I love the look of etching and painting wine glasses, the fact is that it gets busy this time of the year and not everyone can set aside that time between work and family. That doesn’t mean your table has to suffer. 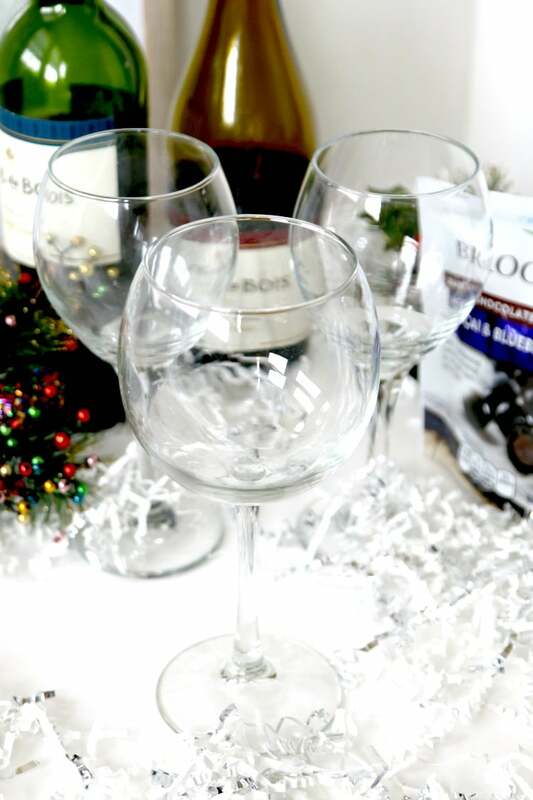 To quickly create glasses to hold wine and chocolate that are also decorated for the season you just need easy peel stickers with transparent backing. You can pick up a variety very inexpensively at almost any craft store and when you are done, just peel right off! They stick very well for an engagement but should not be washed. Compensation was provided by BROOKSIDE Chocolate via MomTrends Media. The opinions expressed herein are those of the author and are not indicative of the opinions of Brookside or Momtrends Media. Love the idea of decorating the wine glasses! Very festive.